How Does Eating Cherries Affect Warfarin? Warfarin is a very important and effective drug used to decrease the blood’s tendency to form clots. Warfarin functions by interacting with vitamin K in the body, and vitamin K intake should therefore be consistent in order for the drug to work optimally. 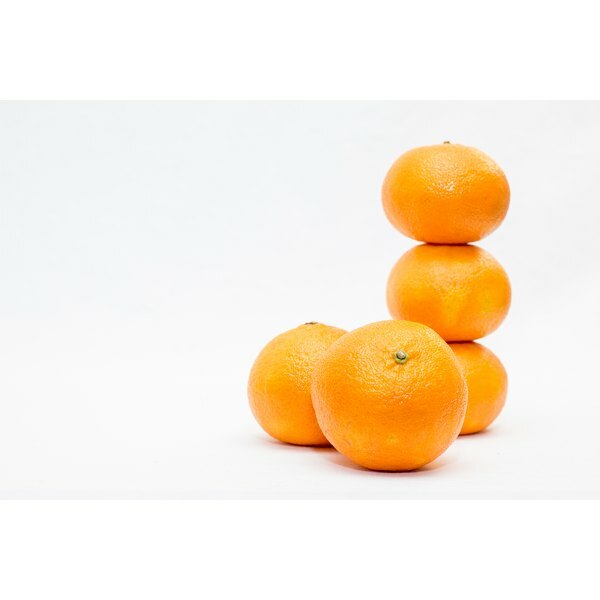 It is important to be aware of foods that are very high in vitamin K; however, oranges are low in vitamin K and need not be considered when using warfarin. Warfarin is an anticoagulant, a drug also known as a “blood thinner” that is prescribed to people who are at a higher risk of forming blood clots. Warfarin can prevent a potentially harmful clot from forming and blocking blood flow in the body. The drug is an antagonist of vitamin K and it prevents it from synthesizing clotting factors, thereby creating an anticoagulation effect. Regular blood tests will be ordered by the prescribing physician to make sure the drug is working properly. Finding the lowest therapeutic dose will help prevent bleeding, which is a side effect of warfarin. Vitamin K is a fat-soluble vitamin of which, according to the Linus Pauling Institute’s Micronutrient Research Center for Optimal Health, the only known biological function is as a cofactor for an enzyme that initiates a cascade of reactions that activate clotting factors. Bleeding is stopped by forming clots, so vitamin K is essential in this normal body function. However, when warfarin is prescribed, a functional vitamin K deficiency is created and the body’s use of the vitamin is blocked. Phylloquinone, or vitamin K1, is the major form of vitamin K in the diet. According to the Cleveland Clinic, foods very high in vitamin K include broccoli, cauliflower, cabbage, soy oil, green tea, tofu, spinach and other dark leafy greens. For those who take warfarin, it is recommended to avoid large fluctuations in vitamin K intake. Large amounts of vitamin K can cause the drug to become less effective, and consuming vitamin K in smaller amounts than is customary for a particular person may increase the effectiveness of the drug and result in bleeding. Maintaining a consistent intake of vitamin K in the diet will allow the physician to make the most therapeutic changes to the warfarin dose. According to the Food and Nutrition Board of the Institute of Medicine, adult males require 120 mcg per day of vitamin K and adult females require 90 mcg per day. For a person using warfarin, it is generally recommended to consume these established amounts. The nutrient data base of the US Department of Agriculture denotes that a fresh, raw orange contains nearly no vitamin K and most varieties of orange juice contain about 0.2 mcg of vitamin K. The amount of vitamin K in oranges and orange products is negligible and should not be considered when taking warfarin. Melanie Di Stante is a registered dietitian and a NCBDE-certified diabetes educator with more than 10 years of experience. She received a bachelor's degree in dietetics from the University of Connecticut and a master's degree in human nutrition from the City University of New York. Di Stante has been writing professionally for more than 10 years, contributing to local newspapers and "Today's Dietitian."